Medication can have some side effects. For example, dry skin or sensitivity to light. These symptoms can be counteracted with the use of adjunctive hydrating products for acne-prone skin such as Eucerin DermoPURIFYER Adjunctive Soothing Cream. It can be used with standard medical acne treatment to intensively hydrate and sooth exsiccated acne skin. Hormones. Most cases of acne are triggered by a reaction of the sebaceous glands to androgen hormones. The sebaceous glands respond to the circulating hormones by producing excessive sebum. It is important to seek dermatological advice, even if symptoms are mild or in their early stages as effective medical treatment can prevent the condition getting worse, and minimise the risk of scarring. Topical antimicrobials (Topical antibiotics) help kill the bacteria on skin that can infect plugged hair follicles. This should always be combined with Benzoyl Peroxide in order to prevent the development of bacterial resistances. 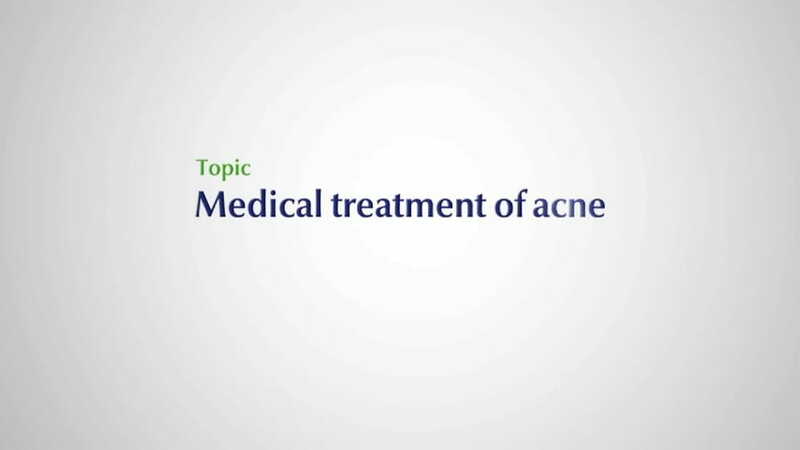 As with all medication, there are known side effects to certain medicinal acne therapies. These may include skin dryness and sun sensitivity, but these can often be offset by the use of adjunctive hydration care for acne-prone skin such as Eucerin DermoPURIFYER Adjunctive Soothing Cream.